The EPO-TBI Study was a stratified, prospective, multi-centre, randomised, double-blind, placebo-controlled, phase III trial in intensive care unit (ICU) patients with moderate or severe traumatic brain injury (TBI) to determine whether erythropoietin (EPO) improves neurological function 6 months after injury. This study was conducted in Australia, New Zealand, the Kingdom of Saudi Arabia, France, Finland, Germany, Ireland and Singapore. 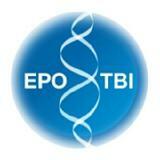 Goal: This trial was conducted to determine whether EPO therapy is effective and safe in TBI. If EPO is proven to improve neurological outcomes and is introduced clinically, given the high disability rate and high mortality rate, at least 150 patients may have significantly improved neurological outcomes per year in our country by the widespread application of EPO. To change only a few of these patients from an unfavourable to a favourable neurological outcome would alone result in lifetime dollar savings. Rationale: Traumatic brain injury (TBI) is a catastrophic illness with extraordinary human and financial costs. There was substantial experimental evidence, a plausible biological rationale, and supportive clinical evidence from clinical trials to suggest a possible beneficial effect of EPO in TBI. Clinical practice was changing in the USA, prematurely leading to a loss of equipoise despite inconclusive data. There was concern that the use of EPO may increase thrombosis in critically ill patients and there were no trials with adequate methodology to study both efficacy and risks of EPO in TBI patients. The significance and cost of TBI, the possible benefits, the growing off-label use, the concern about side effects of EPO, and the lack of direct evidence of benefit made it a trial of the highest quality essential to guide future clinical practice. Study Progress: Patient recruitment commenced in May 2010 and was completed on 1 November 2014. The results were published in 2015. Endorsement: The EPO-TBI Study was endorsed by the Australian and New Zealand Intensive Care Society Clinical Trials Group (ANZICS-CTG). Funding: The EPO-TBI Study was funded by project grants from the National Health and Medical Research Council (NHMRC) and the Transport Accident Commission (TAC). Contact: For further information about this study, please contact the ANZIC-RC EPO-TBI Study Project Manager, Lorraine Little, by email.